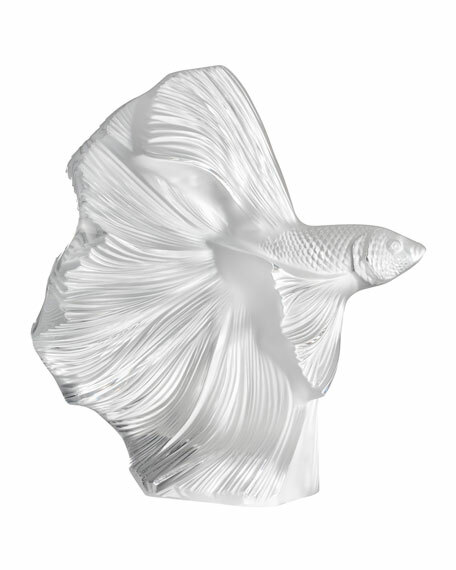 The Lalique Fighting Fish is sculpted by highlights of crystal, resulting in an intricate play on reflections and transparencies. Native to Southeast Asia, these warlike fish engage in lethal battles of violent beauty. Plentiful fins undulate and intertwine like colored veils in a spectacular aquatic ballet. 5.94"L x 3.37"W x 6.3"T.